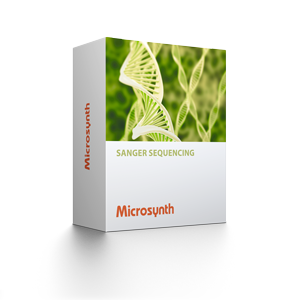 Fast and comfortable Sanger sequencing service for DNA templates longer than 1'400 bases. By sequencing from both ends we advance about 1600 base pairs per day. Microsynth's Primer Walking Service offers single-stranded (SS) and double-stranded (DS)1 sequencing of your DNA templates. Both options can be selected with and without sequence assembly. In case of DS assembled service, Microsynth offers sequence verification as an additional comfortable service (you just have to provide us your reference sequence). 1 In the double-stranded Primer Walking Service both strands of your DNA sample are sequenced and compared. In this way an accuracy of at least 99.99% per base is achieved. Upon sequencing your template, you will receive the individual sequences. Final assembly will have to be done at your end. Assembly of the single sequences will be completed quickly and accurately at Microsynth. You will receive all the individual sequences together with an electronic version of the aligned sequence. Your sequences will first be assembled at Microsynth and then verified with the original sequence you will provide. Together with the individual sequences you will receive an electronic version of the aligned sequence as well as a report of discrepancies.